Our product range includes a wide range of dental instrument cleaner. We specialize in the manufacturing and supplying of an ample range of Dental Instrument Cleaners. These are widely praised for their anti-corrosive properties and low noise operation. Attributing to its longer service life and low noise operation, the whole range of the dental instrument cleaners offered by us highly regarded among the client-base we have garnered so far. 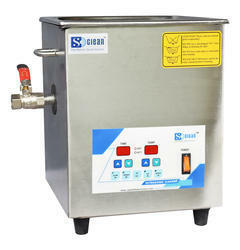 Looking for Ultrasonic Cleaning System ?